Don’t despair, if you are not happy with the shape of your lips. You can use lipstick cleverly, to camouflage mouth defects. Too thin lips - Increase the thickness by covering a little of the area outside the lips in a gradual, curving line, on the upper and lower lips. See to it that you follow the natural curve of the lips while applying. Use lighter shades. Extend the lipstick in a gradual curve on the upper lip only, and to the extent of which it gets balanced with the lower lip. Increase the width of the upper and lower sides in a gradual, natural curve. Use lighter shades. Increase the thickness of the lower lip by extending the lipstick beyond the lower lip in a natural curve. Round up the sharp arch of the bow, and widen along the sides of the upper and lower lip to avoid a sharp curve. Keep lipstick inside the lips. Keep the corners sharp and neat. Use darker shades. Extend the corners and apply outside the lips. Use lighter shades. Lift the corners of the mouth. Use darker shades. Never use a shade that is clearly too light, it can make you look washed up and like your dead. My personal favorite lipstick line is Smashbox’s Photo Finish Lipstick. It smells delightful and it has a wonderful smooth creamy texture. Use a light-colored or clear gloss to add shine. Apply a sheer neutral color on lips, then line with a mocha-colored lip liner. Finish with a neutral-colored shimmer lip gloss. I use sugar & olive oil paste to exfoliate my lips once a week at least! Choosing the right shade of lipstick is a crucial element in achieving great lips. 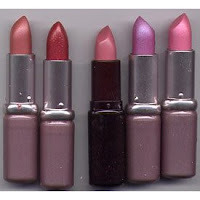 It is better not to opt for lighter shades of lip colors but if you do, dilute it with some clear lipgloss - in fact, if you ever think that you may have applied a slightly too bold color or one that you are unsure about suiting you, applying clear lip gloss over it is always a guaranteed way to take the edge off it. Apply a light shade of lipstick. Then apply blusher, sweeping it a little at a time over your cheeks, forehead and chin. You can even dust a little over the tip of your nose.